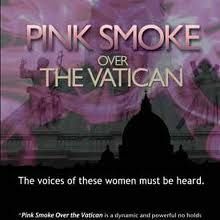 WSR is having a Screening of Pink Smoke Over The Vatican, a documentary by Jules Hart about Women’s ordination within the Roman Catholic Church. Screening followed by a discussion with Professor Victoria Rue, who is an ordained Roman Catholic Priest. click on image for flyer. see media page for the talk.